Hit the ball for the first time! 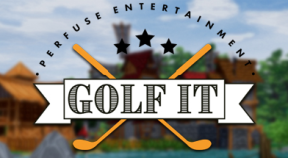 Get your first Hole in One! Achive 50 Hole in One! Achive 200 Hole in One! Achive 1000 Hole in One! Hit the ball 100 times! Hit the ball 1000 times! Hit the ball 10.000 times! Upload a map or Blueprint on the Workshop! Upload 3 maps or Blueprints on the Workshop! Upload 5 maps or Blueprints on the Workshop! Upload 10 maps or Blueprints on the Workshop! 5 times better than par! 50 times better than par! 250 times better than par! 1000 times better than par! Pizza trail with yellow ball!